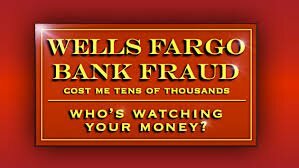 Wells Fargo recently reported a $185 million settlement with the CFPB due to widespread and systemic illegal acts of consumer fraud, including setting up two million deposit and credit card accounts for customers without their permission. The action follows other enforcement actions against the Company, including a 2012 settlement with the Department of Justice for $175 million over the “discriminatory steering” of African American and Hispanic borrowers into high cost loans. Investors argue these costly settlements are symptomatic of deeper oversight and ethical failures and are calling for the implementation of governance and risk management processes to address them via several resolutions sent to the company last Friday. At our meeting with Wells representatives last December, we pressed for disclosure and we were denied the truth. Now we are confronted with painful accounts of fraud including some 80,000 customers in Pennsylvania alone. As shareholders and customers ourselves we feel betrayed and have no choice but to call for a full review of business standards through this resolution which we hope other shareholders will support. 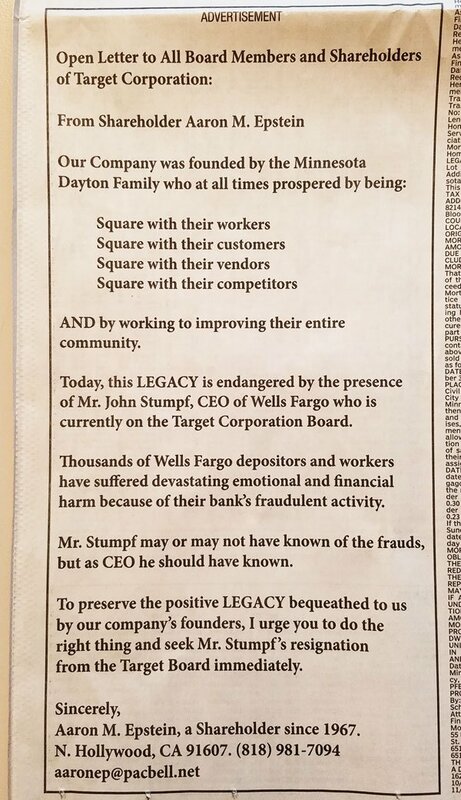 Wells Fargo has an admirable Code of Ethics and Business Conduct. The problem is you get the behavior you reward, and the incentive systems at Wells Fargo led employees to take actions that made a mockery of the Code. Shareholders want top management’s compensation to be tied to their success in aligning employee behavior with the company’s Code. That’s why we filed a resolution urging the company to link executive pay to sustainability metrics, which is good for the company, employees, and customers. It is important for investors to step forward and hold the Wells Fargo Board and management accountable for these years of fraud and ethical irresponsibility. This year, we expect dozens of shareowners to join in co-filing these resolutions. The resolution filed by the Needmor Fund, a Walden client, calling for a separation of the roles of Chair and CEO is one important governance reform that would institute more board accountability over management, vitally important at this juncture. If unchallenged by the company, the proposals will appear on the company ballot to be voted on by all shareholders at the annual meeting. 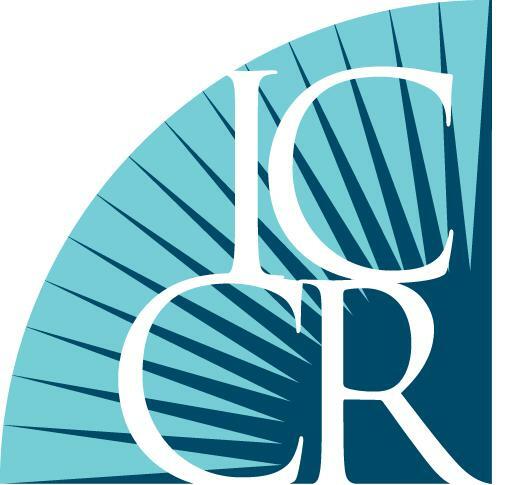 Celebrating its 45th year, ICCR is the pioneer coalition of shareholder advocates who view the management of their investments as a catalyst for social change. Its 300 member organizations comprise faith communities, socially responsible asset managers, unions, pensions, NGOs and other socially responsible investors with combined assets of over $200 billion. ICCR members engage hundreds of corporations annually in an effort to foster greater corporate accountability on questions such as climate change, corporate water stewardship, sustainable food production, human trafficking and slavery in global supply chains and increased access to financial and health care services for communities in need. See also, Things are getting so bad for Wells Fargo even Catholic nuns are dumping the bank and Longtime Target Shareholder Calls For Wells Fargo CEO’s Removal From Board.